Tag Archives for " Dry Herb Vaporizer "
​Atmos has introduced a new dry herb only vaporizer called the Astra 2. 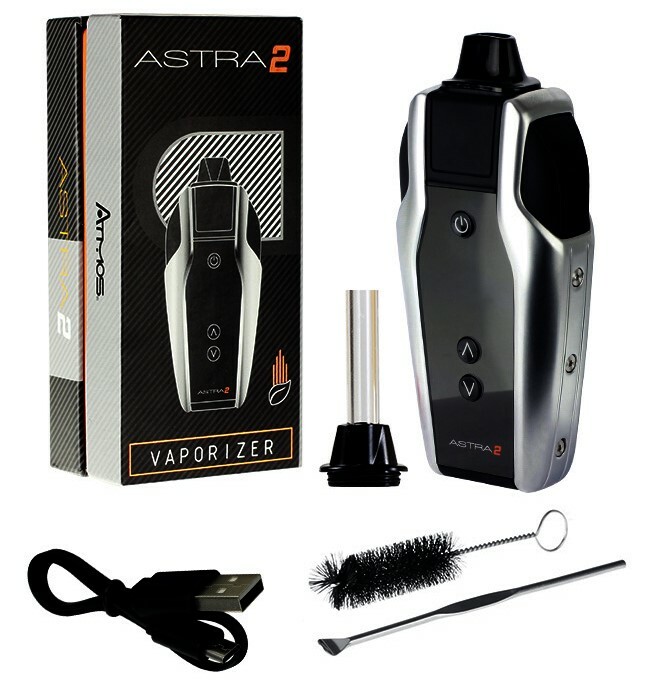 The Astra 2 vaporizer is very similar to the Atmos Ruva with a few upgrades and new sophisticated looking design. Atmos​ offers a wide selection of​ vaporizer products that range from vape mods, wax pens, convection vaporizers, vape juices and everything in between. In this ​review we will be taking a closer look at the Atmos Astra 2 to see how it performs. ​A vaporizer that lets you know what its up to through haptic feedback is a safer vaporizer. The Astra 2 uses vibrations to let you know that it has turned on and that it has reached its set temperature. This allows you to travel safely and also to conserve battery life by not turning the device on accidentally while in your pocket. ​In addition to the haptic vibration feedback that the Astra 2 is able to communicate with the device also includes a very clear LED screen that displays the remaining battery life and temperature settings. ​Using the LED screen and 2 temperature control arrow buttons you are able to choose any temperature to a 1 degree accuracy level between the range of 300 and 435 degrees Fahrenheit. ​On the lower end of the scale you can vape ​dry herbs at a temperature that will savor the flavor. While at the higher end you can expect to get quick hits that deliver big vapor clouds. ​Standing only 4.05 iches in height, 1.8 inches in width, and 0.95 inches in depth the Astra 2 vaporizer is perfect for portability. The unit is housed with a scratch resistant anodized housing. For a compact vaporizer it has a considerably large oven. ​Fo quick and reliable shipping of the Astra 2 vaporizer we suggest ordering directly through the official Atmos website. 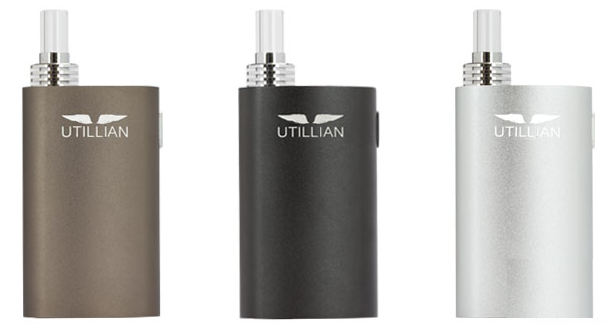 Portable vaporizers continue to become a more popular daily product for people all over the world. Portable vaporizers are beginning to become cheaper while the quality of the lower priced devices improves. This can be seen here with the FEZ vaporizer which is designed for dry herbs. It used to be only the portable vaporizers that costed well over $200 that would perform well and be worth buying. Fortunately for consumers, the vape industry has enormous competition and as such the prices have become very competitive. Continue reading to learn more about the FEZ vaporizer for dry herbs in our review. The FEZ device uses vaporization instead of combustion (as do all vaporizers) to heat your herbs and extract the flavor, aroma and oils. The FEZ vaporizer is very easy to use and also very easy to maintain and keep clean. 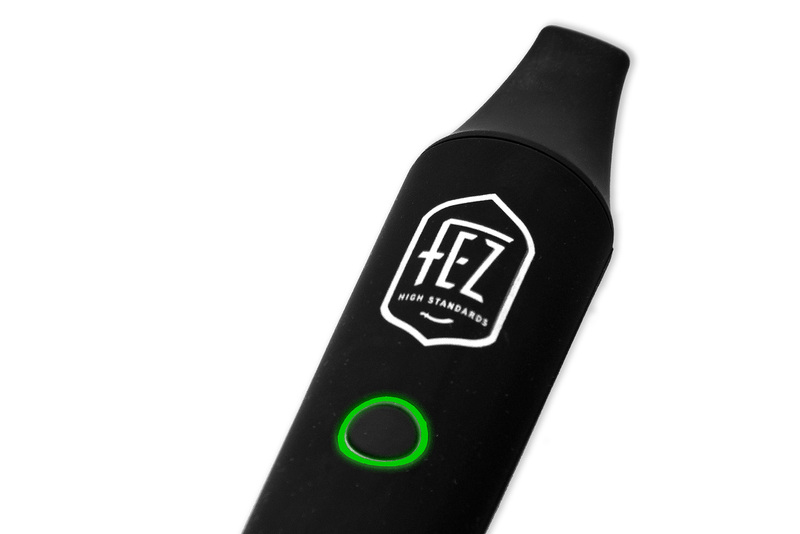 The FEZ vaporizer comes with a cleaning kit and requires minimal attention to keep in good shape. The FEZ vaporizer is actually in the low price category when it comes to quality portable vaporizers and costs under $130. You can learn more about this product or grab a FEZ vaporizer for yourself by visiting the official site. Its always a good idea to purchase directly from the manufacturer to avoid fake replicas. The portable vaporizer is an industry known fro falling victim to fakes and by purchasing directly from the manufacturer you will be sure to get a legit device backed by real warranty. Apollo AirVape a relatively new company in the world of portable vaporizers that has only been in the industry for a few short years but is making big waves. The AirVape brand of portable vaporizers has created an image that all companies strive for. The AirVape XS2 is a potential new portable dry herb vaporizer that may be released somewhere in the second half of 2017. AirVape has created an image where customers now that they get a great deal on a great product. Affordable luxury is one of the main sayings that you here when people discuss the products produced by Apollo AirVape. The AirVape XS has been a huge hit for the company and it is expected that they are working on the AirVape XS2 with new upgrades and features. AirVape is fueled by a passionate group of vape enthusiasts that want to give people the product they deserve and a price they can afford. Portable vaporizers are a luxury item, especially if you want one that performs well and holds its value. AirVape XS is already the second version of the popular dry herb vaporizer from Apollo AirVape and was a hidden industry gem for quite a while. AirVape also created a special edition version to the popular AirVape. The AirVape XS Special edition was produced in limited quantities and comes ins a very attractive black and gold color combo with some solid accessories. The AirVape XS SE comes with a credit card sized power charger and a Xs shell that is said to be smell proof and water resistant. Among the many other perks and cool accessories that come with the special edition pack is a AirVape VIP card that gives the customer 3 free repairs in case anything goes wrong far down the line and also discounts on some of the industries top vaporizer super stores. The AirVape XS 2 is expected to be another premium device that is backed by a solid company. A few things that are missing from the AirVape XS is bluetooth connectivity, so this very well could be one of the big upgrades that will come into play with the AirVape XS2 if and when we see it come to market. Potentially the new AirVape will come in an even wider range of color options. The XS and XS SE together came in Blue, Gray, Red Gold, Rose Gold, and Black and Gold. Newly released vaporizers also have on demand heating and other cool features like heat sink features. On demand heating allows you to conserve your battery life while a heat sink keeps your draws a bit cooler than would otherwise be. 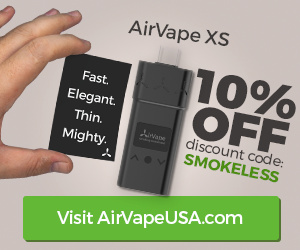 We are excited to see what new features come with the AirVape XS2 and will update this page when that time comes. For now we are excited to see the highly anticipated release of the AirVape OM - you can read our initial review of the AirVape OM here. 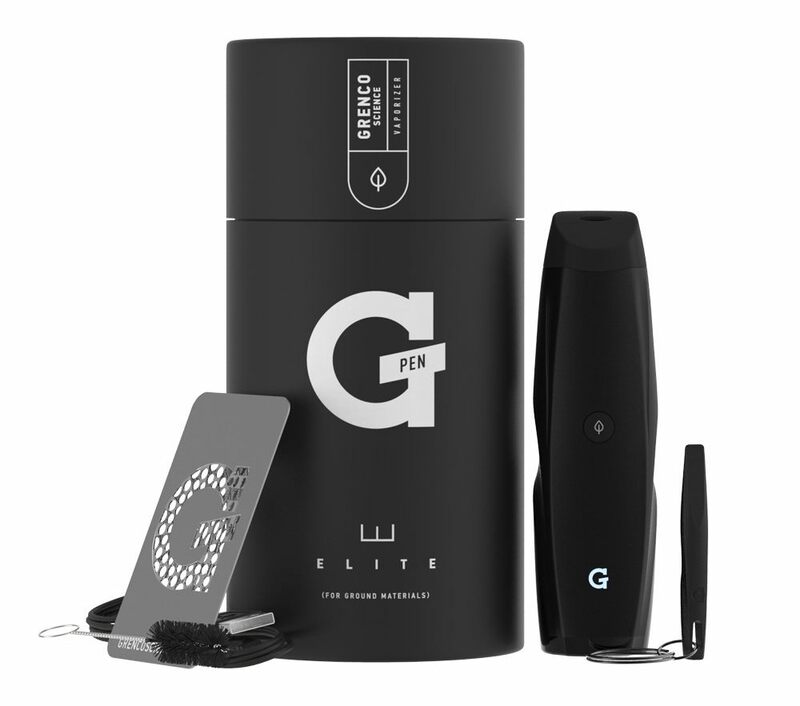 The G Pen Elite - A portable dry herb vaporizer that is made with quality components that costs a fraction of the competition to buy. The G Pen is made by Grenco Science, a company that is known for making quality affordable products and working with some of the industries top celebrities like Snoop Dogg and Wiz Khalifa. We have an article more directed towards the collaborations with Snoop Dogg and Wiz Khalifa that you can read, but for this article we will be focusing on the G Pen Elite. Grenco Science has a wide selection of portable vaping devices that span across all niches of vaping. If you are looking for one of the top concentrate, liquid or dry herb devices for a great price Grenco Science has you covered. If you are looking for a portable dry herb vaporizer that is super easy to use, with not many parts that can get broken or go wrong, the G Pen Elite vaporizer falls into this category. The G Pen Elite really only has 2 parts that you need to worry about, the device base and the mouthpiece. The device base or main part has a temperature and battery display screen that is actually in a pretty practical location, right by the base of the unit. Also on the main part of the vaporizer is a USB connection that you can use to charge the device, and lastly a power button. The mouthpiece is the second part of the vaporizer which doubles as an oven lid and air path. The G Pen Elite has a very comfortable mouthpiece that feels a bit nicer than other vape designs. Getting the mouthpiece of can be a bit tricky for the first few times you use the device, but really you just have to get used to it - to take off the mouthpiece you simply push it forward to create a bit of a crease underneath then you can use your fingernails to tug it off. To use your G Pen Elite you will need to first make sure it is charged and you will need to put some ground up herbs in the oven. A good amount of herb to put in your oven is about .25g maybe .35 if you want to go on the heavier side. This amount of herb will give it some breathable room to vape more consistently. Now that you have the oven packed and the device is charged you can proceed to clicking the power button found on the face of the device 5 times to turn it on. When you press the power button 5 times the device will enter into stand by mode. If you would like to choose the temperature before it starts heating up you can use the other two buttons located on the side of the vaporizer. To start heating up the G Pen Elite you press and hold the power button for a second or two. The device will heat up pretty quickly - in about 30 seconds, than you can begin to draw from it. The first hit will help to circulate the air through your herbs, in between your draws you should wait 10 to 15 seconds to allow the oven to get hot hot again, since as you pull air through it you are cooling it down kinda like a temperature tug of war. The draw resistance on the G Pen Elite is not to bad, you don't have to inhale to hard compared to some vapes. If you notice the draw resistance getting a bit tougher with use than it means you need to clean out the mouthpiece as the air filter can get a bit clogged. Each session with the G Pen Elite with a descent size packing will get you about 10 draws maybe a few more on lower temperatures. The G Pen Elite is a compact portable vaporizer, when you first look at the device with nothing to compare its size to you would think that it is quite a bit larger than what it is in real life. The G Pen Elite kinda looks like a smaller shaver/groomer and also how you charge it through the bottom resembles a shaver as well. The size of the G Pen Elite is actually pretty close to that of the PAX 3 and overall surface space seems to be about equal. The battery life will get you about 1 hour of usage time and takes couple hours to charge. Overall the build quality and performance of the G Pen Elite is above average and really quite impressive for the cost of the unit. Last checked the price to get a G Pen Elite was under $150 which makes this one of the best ﻿﻿portable dry herb vaporizers for its price. To learn more or to pickup a G Pen Elite for yourself you can head over to the official Grenco Science G Pen website here. 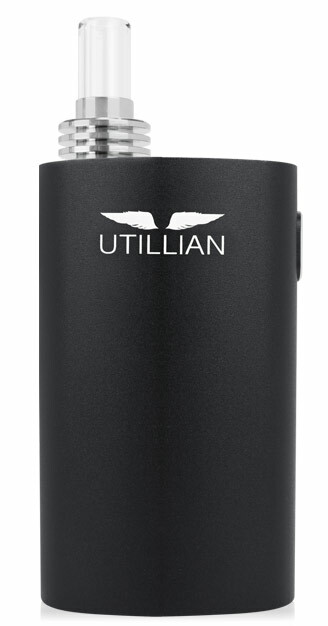 The long awaited upgrade to one of the best portable vaporizers has recently been released. The Arizer Solo 2 is the follow up to the Arizer Solo and the Arizer Solo NE. The Arizer Solo vaporizers are known for delivering flavorful draws and having very long lasting battery life. The Arizer Solo 2 is a solid upgrade from the first version and we will touch on all the new aspects of the device in our review here today. In relation to the original Arizer Solo the new model is greener in an economical sense and uses a smaller carbon foot print. The new Arizer Solo 2 has a display screen that shows you the remaining battery life of the charge and also displays the devices current temperature. The Arizer Solo 2 has a stronger battery that lasts longer and charges quicker than the original. IThe temperate controls have been improved and now can be controlled through 1 degree temperature adjust-ability. The Arizer 2 Solo is a bit smaller than the first model but having said that it is still a pretty large portable device. By no means is it as compact as the PAX 3, Firefly 2, or DaVinci IQ. It is actually more comparable in size to the new Hydrology 9 water vaporizer. The larger size can be attributed to the powerful battery that the Arizer Solo 2 includes. 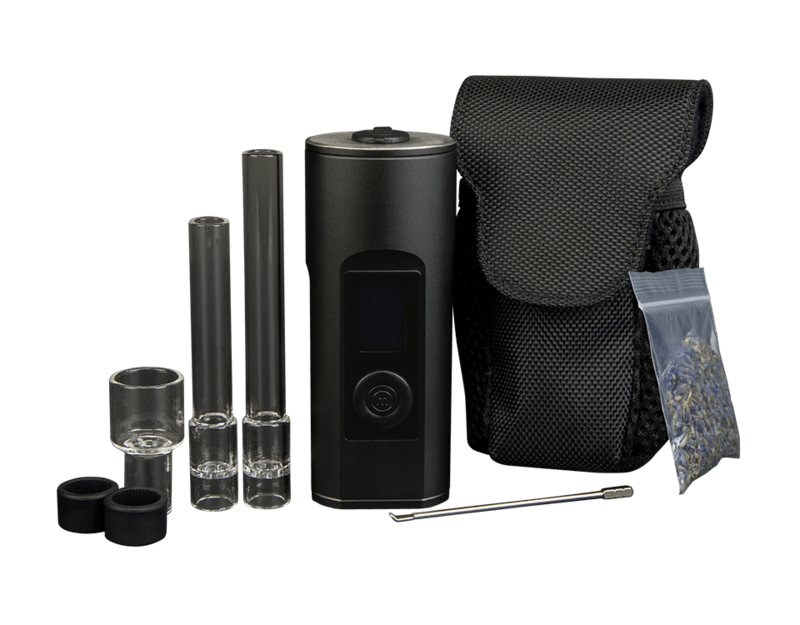 In the box when you get your Arizer Solo 2 you will find a package of lavender which you use with the aroma cup and can use the device for enhancing a rooms smell and also for aromatherapy purposes. Also in the box you will find a package of screens that you will want to use if you don't want to get any material shooting into your mouth. The Arizer Solo 2 comes with 2 different size mouthpieces, a shorter one and a longer one. The longer mouthpiece gives the vapor a bit more time to cool down before entering your mouth. When ordering the Arizer Solo 2 you are able to choose your plug style, the options available are Australia, Europe, North American and United Kingdom. In the package you get some stem caps and a carrying case for the device and its accessories. To load the Arizer 2 Solo you can simply grab one of your stems (mouthpieces) and like you would with a one hitter just twist it into some ground up herb. You don't necassarily need to grind up your herb with the Arizer Solo 2, you can actually just stick a nug in it and vape away. But what grinding your herb will do is help to produce more vapor as its looser and more surface area of your herb is getting heated. If you stick a full nug in and vape that way you will get a bit more flavor. To power on the Arizer 2 Solo you will need to hold down the top side of the ring button and the center button at the same time. You will see a count down for the length of time you need to hold these two buttons for (3 seconds). One the countdown reaches 0 the device will display hello with a happy face letting you know that it has turned on successfully. Once the Arizer 2 Solo is on you can adjust the temperature by tapping or holding the upper side and lower side of the ring button around the power button. Holding the ring button down will jump through the temperature faster while tapping it will allow you to increase and decrease the temperature by single digits. When you have chosen your desired temperature, the device will be working to reach that temperature, it may take about a minute to reach your desired temperature when starting from the off position or 20 to 30 seconds if you are changing it while on. To start vaping you just need to place the mouthpiece into the oven slot and begin to inhale. You are able to set the automatic shut off time to a longer or shorter default setting, the factory default is set to 10 minutes. You can also power the Arizer Solo 2 off be holding the center button for 3 seconds. The mouthpiece stems that work with the Arizer 2 Solo are pretty wide, its like your vaping through the big slurpee straws you'd get at 7 eleven. The larger airflow mouthpiece means you can get big hits, once your material starts to get a bit warmer and starts to heat up your draws will get easier to pull. The draw resistance in comparison to the Arizer original is much improved and feel more natural with this unit. The Arizer 2 Solo is a very easy device to maintain, because your herb simply sits in the mouthpiece the device doesn't really get dirty at all. The most that would happen is a few remnants of your herb land in the oven and you just tip the unit upside down and tap it out. To clean the stems (mouthpiece) you can rinse them off or your best option is to use isopropyl alcohol. The Arizer Solo 2 has a big built in battery that lasts a long time. One of the most praised features of the Arizer Solo original was the strong battery that it supported. The Arizer Solo 2 has made improvements on an already great feature. You are able to get upwards of 200 minutes of use from the Arizer which equals 20 ten minutes sessions. The time it takes to charge the Solo 2 is a bit longer than your typical portable vaporizer but for the length of time it will last once fully charged is worth the wait. As mentioned earlier the Arizer cannot be charged via USB and must use a wall type outlet. Arizer is known for making top quality devices. 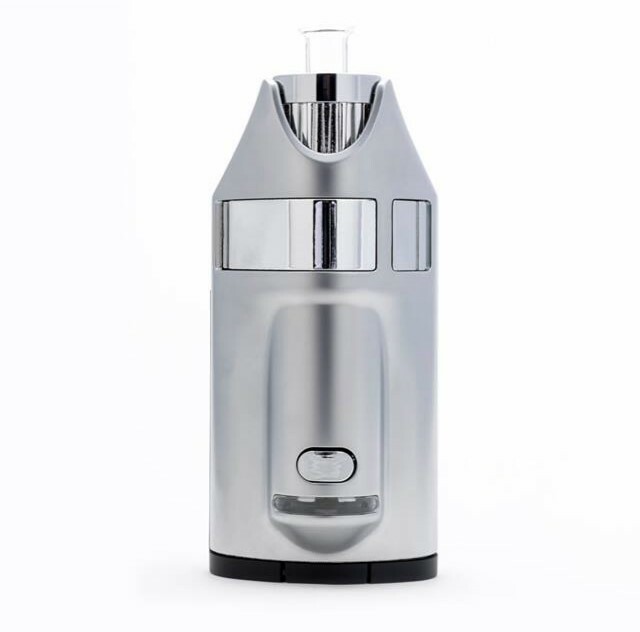 The Arizer Solo original, the Arizer V Tower, the Arizer Extreme Q, and the Arizer Air are all very well made products that you don't hear to many customers talking about defective or easily breakable products. 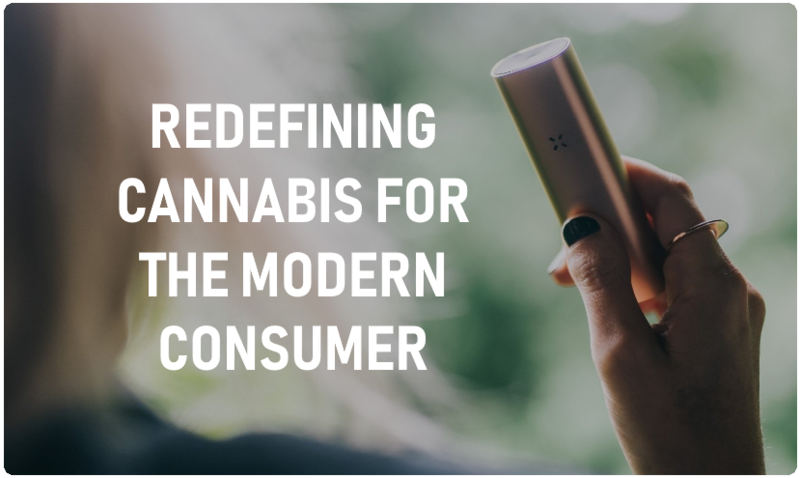 To learn more about Arizer or to purchase one of their products you can visit their official website here. Coming from the company GhostVapes is a new type of portable smart vaporizer for dry herbs and concentrates called the Ghost MV1. This new portable vaporizer has received praise from a number of industry critics and has been endorsed by festivals and celebrities through sponsored endorsements. But does this new portable vaporizer actually live up to the hype boosted by these endorsed sponsors? The Ghost MV1's design is very much focused on user enjoyment, ease of use and comfort. The device is ergonomically designed to sit comfortably within the users hand​. The ​integrated technology combined with the tactile outer casing and soft touch activation button makes ​for a quality overall feel of the device. ​Is it worth the Hype? ​​Sifting through online reviews posted by people who have actually spent the money to buy this expensive device, it seems there are mixed reviews. Stemming from the company and the customer support we find that they are more talk then action. When compared to industry pioneers like Arizer (a Canadian vaporizer manufacturer) the support and ​appreciation for Ghost Vapes falls short. ​When looking at the performance of the device there are also mixed reviews. It is hard to have a device live up to the expectations of a purchaser when you have so many paid sponsors and reviewers trying to promote the thing as the best of the best. We find that the performance of devices such as the PAX 3, Davinci IQ, and Crafty have received overall much more positive feedback then the Ghost MV1. Perhaps there are some wrinkles that need to be ironed out with thsi new company. Some devices have glitches while others work just fine. For those lucky enough to have received a well working model they seem to like it just fine. The Ghost MV1 is easy to clean and built to medical grade standards. The innovative design helps to ensuring purity of vapor and is built for on demand advanced convection heating. Intelligent temperature controls help to regulate a truly unique user experience, while a heat recovery system optimizes your battery through saving power. The intuitive device is able to keep constant temperature that never changes. One of the most exciting new features that we are seeing for the first time in this new vaporizer is the high performance 'heatsink' that helps to achieve a cooler smooth hit every time. The Ghost MV1 has been built with all components in mind and has been designed to prevent material degradation allowing for multi use sessions. ​Every month there are new portable vaporizer companies popping up and every now and then there is one that makes some noise. In just the last few months we have seen rise to the Dipper Vape Pen and the Hydrology9 Water Vaporizer. The Dipper is a new multi-purpose dab pen that converts into a oven packing pen as well, and Hydrology9 is a new type of water vaporizer bong. Another new portable vaporizer that we will see in the next little bit that people are excited to try is called the Loto Lux Vaporizer which uses induction heating - the first portable vaporizer ever to do so. The overall build quality of the Ghost MV1 is ​of high quality. ​The MV1 is made with mostly custom made parts and is designed very intuitively. The shape of the device and the way it is meant to be held is for ergonomic purposes. The entire device can be taken apart which is key for two reasons. The first being that you can easily clean and maintain the unit. The second benefit to this is in the case that a component stops working - instead of replacing a whole unit it will be easy to get a replacement part. The MV1 is built to be tough and stylish, it is made with a lightweight alloy chassis with a tactile outer casing. The exterior can be ordered in a few different color options and also with different finishes. The Ghost MV1 is a 3 in 1 vaporizer that is designed to work with all forms of cannabis. If you are looking for a device that will work for both dry herbs and various concentrates this is perhaps one of the best options. ​The battery pack is not your typical off the shelf part - it has been engineered specifically for this device. The battery pack has embedded technology on a computer chip that helps to manage the connection and current between itself and the rest of the vaporizer. The battery capabilities are said to out perform any other portable vaporizer the market. The Ghost Vaporizer App looks like it is going to be an important feature for anyone who ends up purchasing the unit. The app will give you more control over the device and has some features that make it safer than pretty much any other vaporizer that exists. With the app you are able to lock the unit - this creates a 'gun in the safe' environment and keeps the device out of harms way to under age people. The App also has features that allow you to locate it if you misplace it, similar to the lose you iPhone feature. The Ghost MV1 vaporizer will definitely have a growing list of accessories that can be purchased to work along side the device. Currently available is a cleaning kit, a crucible kit, packs of glass stems, a fast charger, and a battery pack. These are all basic extra parts and accessories and we suspect that there will be a few other to come along shortly. The Ghost mouthpiece is easily removable so there will likely either be a Ghost Wip that takes the place of the glass mouthpiece or a Ghost wip that attaches on to the existing glass mouthpiece to connect it to a water piece.